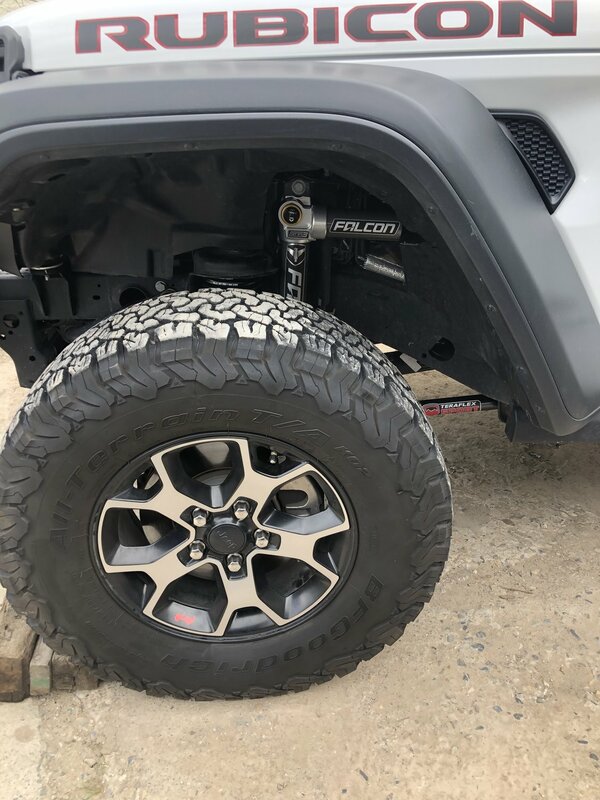 Optimize the ride and handling in your Jeep with the Teraflex Falcon Series 3.1 Piggyback Shock Kit. 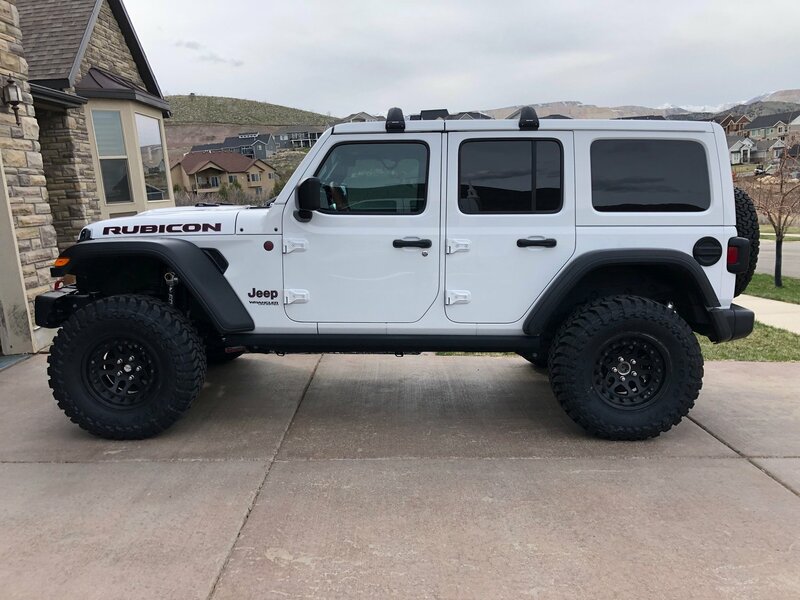 This 100% bolt on kit was specifically engineered for the two door JL Wrangler. Teraflex uses their proprietary Volume Optimized Damping (VOD), which offers race-inspired performance, on road comfort, and off-road performance all in one package. The VOD design increases low speed control, and reduces the chance of high-speed bottoming out. Unlike universal shocks, Teraflex designed their Falcon Series 3.1 Piggyback Shocks with the Wrangler JL in mind. The front shocks utilize horizontal reservoirs for better wheel well clearance. For increased suspension articulation, Teraflex uses built in offset upper spacers and lower eyes. This allows the shock a full range of motion without binding. 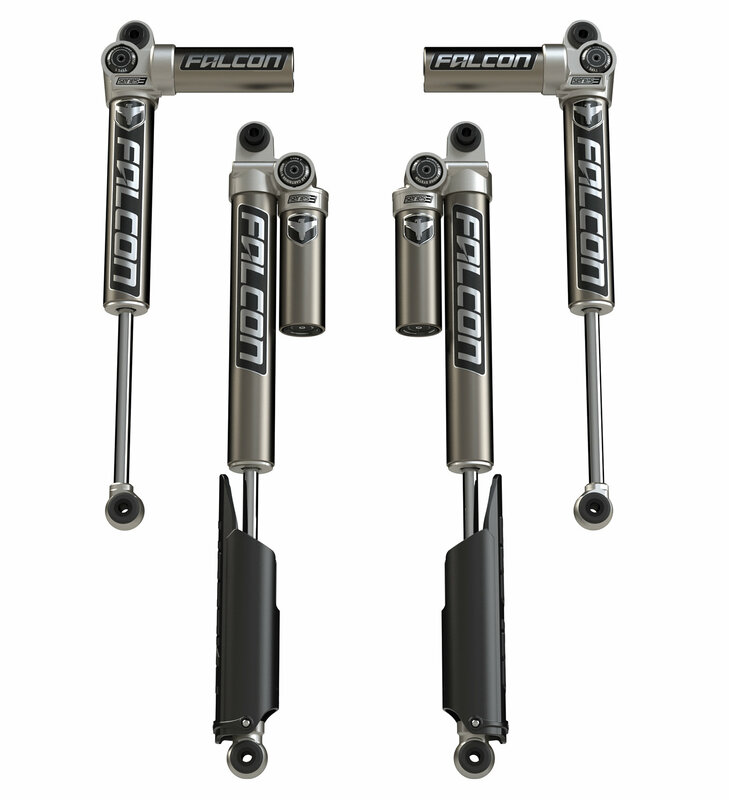 Falcon shocks are backed by Teraflex’s 3 Year Limited Warranty, and are fully rebuildable and factory serviceable.